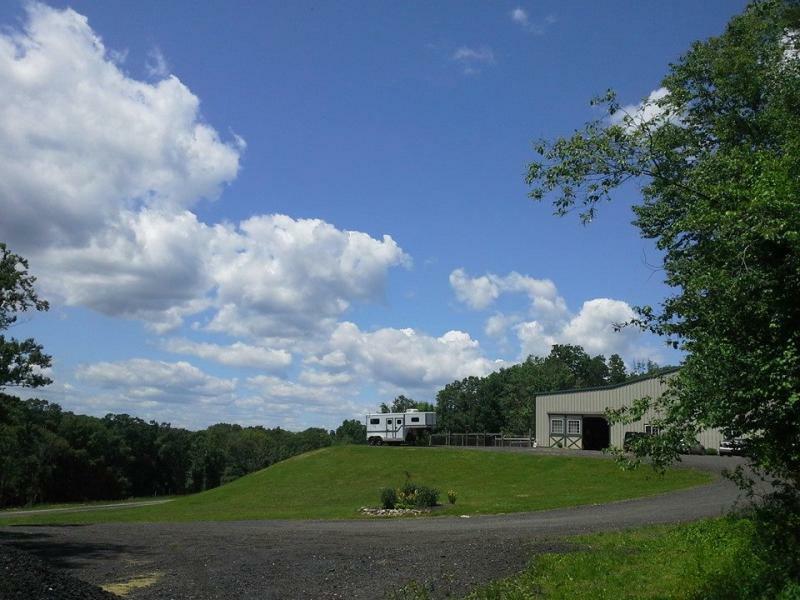 Kristen grew up on the Zeppa family farm the at 738 Birch Mountain Rd. in Manchester, CT. Her childhood was spent playing in the pasture or helping with the produce that was grown on the farm. When she was three, neighbors gave her first pony "Babe". She rode endlessly up and down the rows of vegetables that were growing. When Babe got tired, she would either roll or shake to say the ride was over! Thus begun her passion for horses. The passion wasn't just for riding, but for the horsemanship and sportsmanship that accompanied true dedication to the sport. As a 10-year veteran of Tolland County Equestrians 4-H and a B graduate of Glastonbury Pony Club, Kristen feels these organizations helped her to obtain the values of education and respect for horses. She also began to realize the importance of knowledge in equine science in regard to their training and maintenance. Her focus on equine and sports science is part of what sets her apart from others in the field. Whether a horse's service to humans is as a pleasure riding horse or as a high performance mount, she believes that they need to be treated as an athlete. 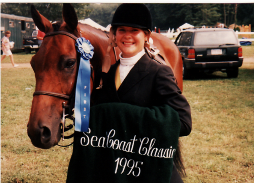 At age 11 ﻿she started riding a 4 year old off the track thoroughbred, Call My Bluff, and went on to win at A shows as a junior and adult in the northeast. He sadly passed 9/17 at the farm at age 33. In her teens she started riding jumpers . Bring It On, retired and passed at 30 on the farm, also an OTTB won numerous state year end championships in Adult/Childrens and Open jumpers as well as wins at HITS Saugerties,and HITS Ocala. Starting numerous other horses she achieved a reputation for training young horses and corrective training. 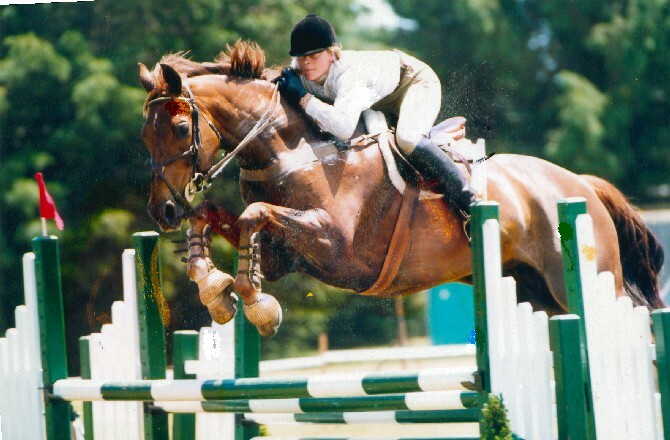 After completing as BS in Equine Science from the University of Connecticut, she moved on to showing almost exclusively on the "A"circuit (national level) for several years and then became a professional specializing in Hunters and Jumpers. To ride at this level, she needed a higher quality of horse than she was able to obtain access, so she went to Germany to purchase young prospects. As well as selecting several other young horses for clients, she imported three horses. Two of the three horses had not been saddle broke when purchased and all the horses competed very successfully at the "AA" circuit in the hunter or jumper ring- Call the Tune, Leon and Shogun. Kristen has ridden with Grand Prix veteran﻿,Mark Jungherr, and rode with Grand Prix﻿ Rider Laura Chapot (Grand Prix veteran and daughter of show jumping Olympians Mary Mairs-Chapot and Frank Chapot). In her younger years she was a student of Kingsly Farm and Windcrest. 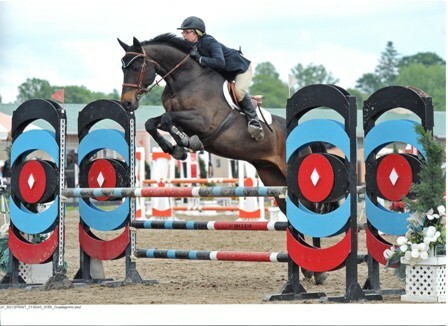 As well as serving on the Connecticut Horse Show Association Board of Directors for 10 years, and on the New England Horseman's Council Board of Delegates, Kristen holds a United States Equestrian Federation "r" license in Hunters, Jumpers and Equitation . She holds NEHC judge and steward cards. Although she is a competitive show rider, she enjoys teaching and helping riders to develop a feel, understanding and respect for horses. The point, at which a rider is able to go beyond the mechanical basics of the sport, is when they begin to truly understand the synergy that can be created as horse and rider move as one. This is the point at which the art of riding can begin. Within her riding and teaching practice, she is constantly flowing back and forth between riding as an art and as a sport. The sport aspect is where physical standards, rules and visible structure shape the practice of training. And the art aspect is when the whole of the horse and rider's energy, ability and understanding is greater than the sum of their parts. This is when a higher consciousness can be attained, a physical consciousness that is understanding between horse and rider. Aside from her passion for competition in the show ring, she is also is dedicated to the mental and physical care of her retired horses. She maintains a continuous honor and respect for the horses that have served her in sport and taught her so much. Kristen and Call My Bluff in his younger days. Dianne also grew up working on the Zeppa farm that has been in the family for over 100 years. A vegetable farm that mainly grew strawberries, tomatoes, cauliflower and cucumbers, it was one of several farms in the Birch Mountain area. The succulent﻿ tomatoes of the area were always in high demand and were shipped to New York, New Haven and shoreline communities. But Dianne had a passion for horses. She bought her first horse at 11 with earnings from picking strawberries. When her daughter Kristen displayed the same passion for horses, she started her on lessons at age 8 and became the typical horse show mother trailering her to lessons and shows. With no indoor, she watched Kristen ride in fields and on the driveway in winter, and would trailer to an indoor to school and lesson. Watching the devotion to horses and hard work of her daughter, she constructed the new barn and indoor. She continues to care for the retired and some boarded horses at the original farm at 738 Birch Mtn Rd..